The service of a famous Australian submarine is recognised in a fascinating display at Kallangur, QLD. In 1915, HMAS AE2, known as the ‘silent’ ANZAC, was the first submarine to penetrate the Dardanelles Strait to the Marmara Sea, on the very morning ANZAC soldiers landed at Gallipoli. AE2 was also the first Royal Australian Navy vessel to conduct a torpedo attack against an enemy warship. 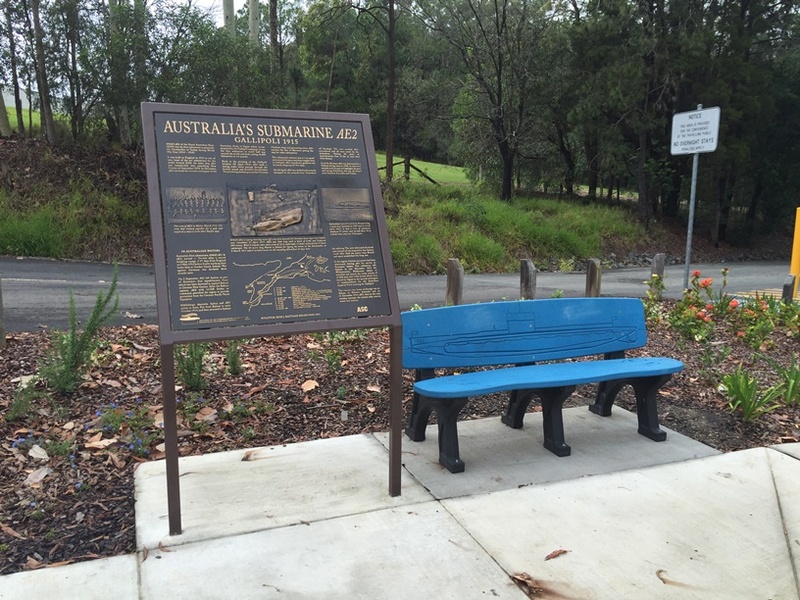 In making the AE2 Memorial user-friendly and encouraging visitors to learn this important story of World War I, Moreton Bay Regional Council has used a custom-shaped Beachcomber seat routed to feature the submarine, on which to rest and reflect on the site’s significance. And a recycled plastic Podium sign provides information that explains the submarine’s important mission into enemy waters. The AE2 Memorial is located at at Ruth Whitfield Memorial Park, opposite the corner of Anzac Ave & Yebri Street in Kallangur, 30 minutes north of Brisbane.